← Even the FBI use Twitter! 2012 has been the year big businesses finally took the big leap toward embracing social media. But it’s also produced some of the most disastrous tweets in corporate Twitter history. Social media can be an important and inexpensive PR tool for companies, but when used improperly, it can bring about very negative consequences. On Oct. 3, in the course of the first US presidential debate, President Barack Obama mentioned his grandmother, who died just days before he took office. Moments later, this tweet went out to KitchenAid’s 24,000-plus followers. As outrage flooded in, KitchenAid went into apology mode, explaining that an employee mistakenly sent the offensive remark from the corporate handle, rather than his or her personal account. Analysis: Sadly, this kind of account mix-up happens all the time. Heavy Twitter users often post to multiple accounts, switching back and forth on the fly. Mistakes are inevitable. That’s why leading social media management systems like HootSuite now prompt users with a special window before they publish to designated, high-profile accounts. Setting up these so-called secure profiles is often all it takes to avert a Twitter meltdown. There were an appalling number of insensitive tweets surrounding deadly Hurricane Sandy. Gap, for instance, encouraged followers to weather the storm by staying inside and shopping on the store’s website. But the most spectacularly inappropriate tweet comes from Canadian supermarket chain President’s Choice. The above message linked to a Halloween recipe for marshmallow bloodshot eyeballs, made by slicing marshmallows in half and placing a grape in the middle. Analysis: This comes down more to a lack of common sense than a lack of Twitter savvy. Joking about death and tragedy—or using it as part of a sales pitch—isn’t acceptable in normal conversation. It’s certainly not acceptable on Twitter. Hours after the deadly theater shooting in Aurora, Colo., during a Batman movie, UK-based CelebBoutique sent the above tweet. It was left up for an hour before being hastily deleted in a hail of angry comments. According to CelebBoutique, their PR people were totally unaware of the shooting when they sent the tweet. The Twitterverse, however, was not sympathetic. Analysis: A better approach? When delegating tweets to outside agencies, contractors or even junior employees, assign them limited permissions. The right social media management tool will let you designate which team members can draft and which can actually publish tweets. Drafts can be fed into an approval queue to be vetted by senior management before publishing, avoiding this kind of PR disaster. Francesca’s, a clothing retailer with stores in 44 states, started the year on the wrong foot when its CFO sent out this tweet after a confidential meeting on March 7. The problem is that Francesca’s is a publicly traded company. The CFO disclosed company info to his followers before it went public, thus sharing inside information – a violation of long-held SEC regulations. He was promptly fired. Analysis: Regulated industries—finance, healthcare, insurance and many others—face strict rules governing what they can and cannot communicate to the public. Social media is not exempt. Every firm should have a social media compliance policy and a social media management system that can archive all messages in the event of an audit. 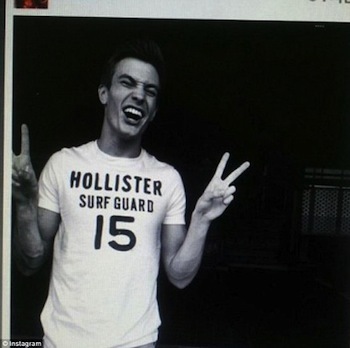 While in Korea on business to celebrate a new store opening there, a male model for Abercrombie & Fitch clothing label Hollister tweeted a picture of himself smiling, squinting his eyes and giving the peace sign. To top it off, when followers called him out on the offensive gesture, he responded with, “Hahahaha they ruhhvvvv ittt!’.” Korean media picked up the story and furious locals initiated a campaign to boycott the store. 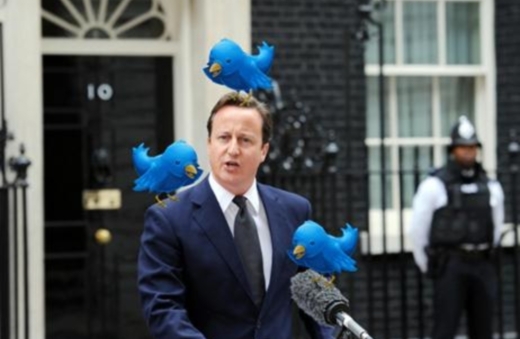 Analysis: We must all accept the reality that social media is a public forum. Nearly everything posted on Twitter and Facebook becomes part of your digital footprint—potentially viewable not just by friends but by employers and the public at large. In this case, it’s crucial that companies have a social media policy and share it with employees. First and foremost, emphasize that tweets are public by default and messages sent over Twitter—even on private accounts—may ultimately reflect on the company. Many social media management systems for businesses include online tutorials that hammer this point home. The tragedy is that all of these embarrassing and damaging tweets could have been avoided with a little social media 101 and the right social media management system. Some simple preventative measures would have spared a lot of apologizing, not to mention angry customers and possible lost revenue. Comforted by the fact their employees have been equipped with the proper tools and training, companies can turn the focus toward the estimated $1.3 trillion in business value waiting be unlocked by social technologies.” Ryan Holmes, 20th November 2012. Posted on November 26, 2012, in Twitter and tagged 2012, abercrombie and fitch, batman shooting, celeb boutique, cfo, delegated tweets, email, gap, hollister, hootsuite, hurricane sandy, ignorant, kitchen aid, leap, LinkedIn, pr tool, president barack obama, president's choice, presidential election, ryan holmes, socail media, socail media management system, tweets, twitter, twitter blunders, twitterverse. Bookmark the permalink. 2 Comments. Love the revamp of the blog – particularly the links to Twitter and Facebook – very professional. Great blog posts!